GBS Commercial Cleaning is a division of Green Builiding Services (GBS). 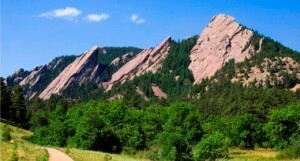 We provide high quality, green janitorial services for offices and businesses in Boulder and Broomfield counties. In addition to full service janitorial programs, we also provide interior and exterior commercial and residential window cleaning, commercial and residential carpet cleaning, and construction cleaning services . To request an estimate call us at: (303) 443-3366. We look forward to serving you. Our staff is trained in the use of innovative green cleaning technologies and chemicals, and we assure the quality of our work by conducting periodic inspections and regular training. We can help any organization incorporate environmental awareness into business practices which allows differentiation of your business in the eyes of customers, prospects and employees. Our team is available 24/7 for emergencies and to work with you on special projects. Best of all, GBS can meet or beat the rates of traditional (non-green) cleaning services. A green clean is a healthier, more environmentally friendly clean. The GBS team will maintain your facility employing the latest green techniques and technology, so you can sleep sounder and breathe easier in the years to come. GBS Commercial Cleaning takes personal responsibility for you and for the environment. This means that we not only take pride in the results of our work but also in the entire process of achieving those results. GBS Commercial Cleaning reinforces your company’s image, its social impact, and the productivity of your workforce. Our place as a leader in environmentally-sound commercial facility services has been established by three factors: customer satisfaction, business ethics, and environmental stewardship.